Text on back of picture: Thrall Park. 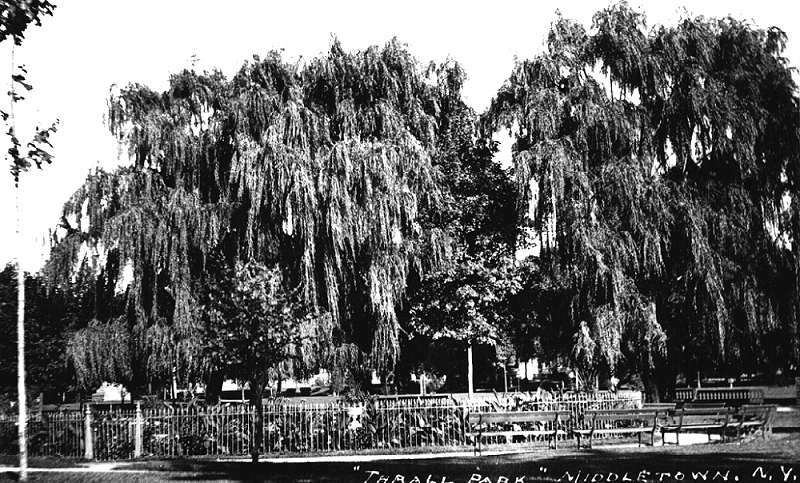 Note: In 1892, Mrs. Maretta Thrall had given the city the land for Thrall Park. The land was plotted out in lawns and walks. In the spring of 1894, the soldiers monument was moved to the park and rededicated May 14.